On June 2nd, 2018 we celebrated the grand opening of our brand new outdoor showroom, located here at 2225 Coronation Boulevard. Take a look at the short video for a brief tour of a few of the main features! Many similar companies have indoor showrooms that are simply samples of materials hanging on walls or in mini-displays. 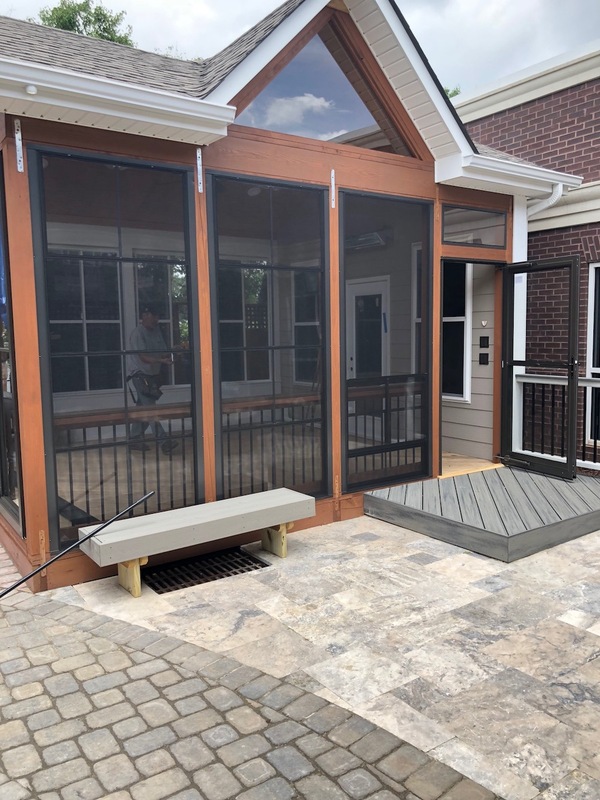 That might work for some, but at Achadeck of Charlotte’s outdoor showroom, we’re able to give customers an in-person, hands-on experience of sample structures to give you a a more realistic example of the type of materials and quality of workmanship that Archadeck of Charlotte provides. 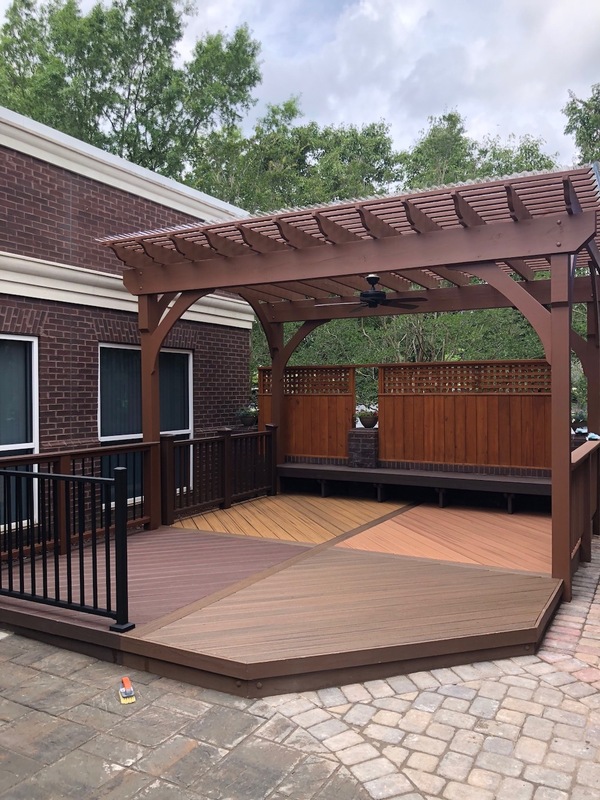 With our outdoor showroom, you’ll be able to see and feel the difference that Eze Breeze windows make in our sample Eze Breeze outdoor room, and also experience the shade and beauty provided by one of our custom decks with a pergola and privacy fence. Are you the grill king or queen of the house? 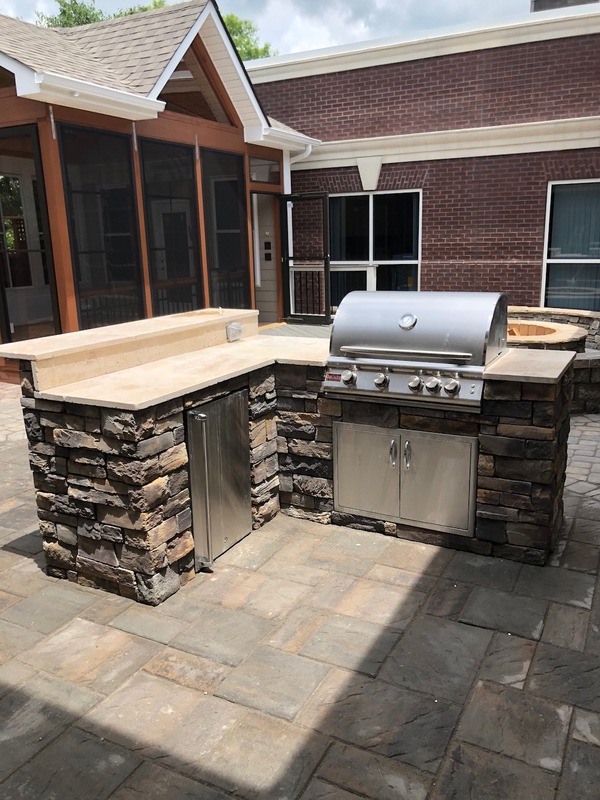 Take a look at an example of one of our outdoor kitchens, complete with grill, storage, and plenty of counter space for preparing a feast for all your family and friends. Bonfires are an important part of making summer memories. Experience for yourself one of our beautiful outdoor fire pits and have a seat on one of our custom seating areas. Everything you see and feel at our outdoor showroom is here to give you a idea of the type of structures we can build for you, but of course, everything that we do for our customers is custom to their particular properties and preferences. 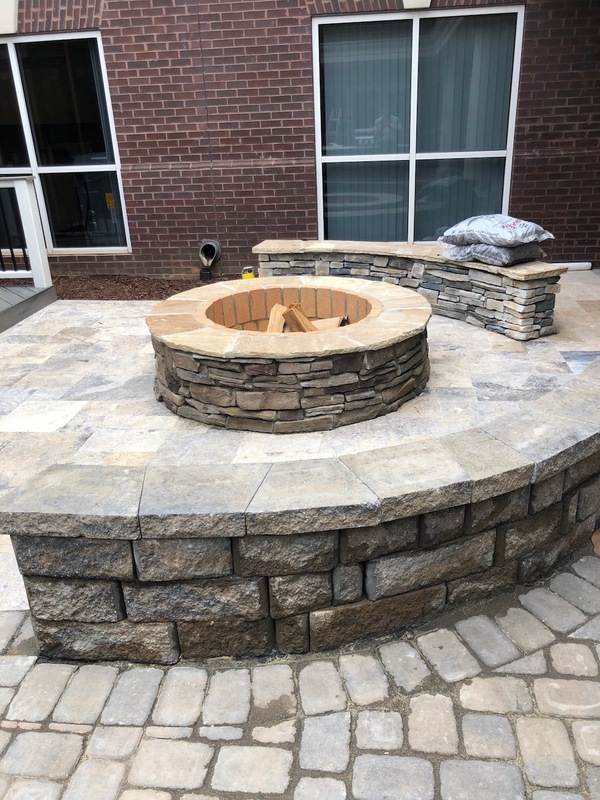 Though the video at the top was taken just before our open house, you’re free to come visit it any time by appointment to see what your next project will look like “in action.” Call Archadeck of Charlotte at (704) 944 -1350 to start making your outdoor oasis dreams a reality!